Here’s a little extra special edition Saturday post for you! 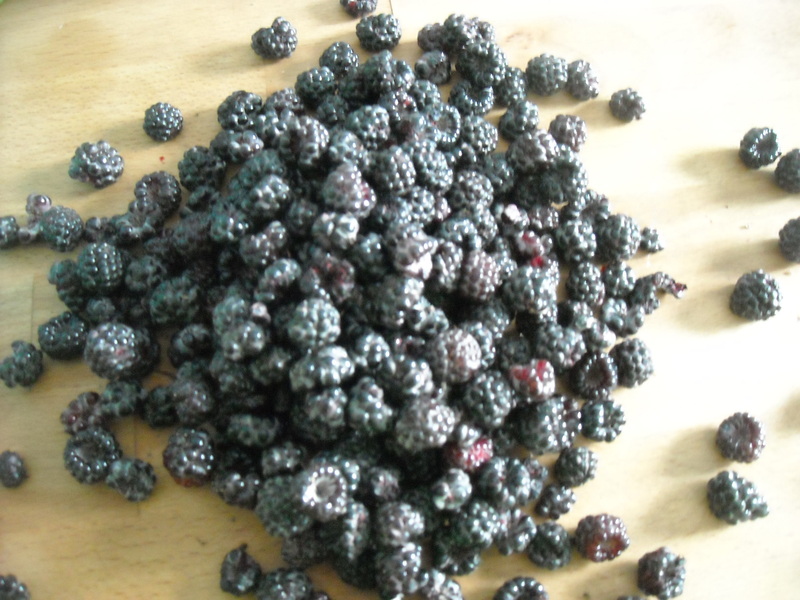 If you are lucky like me and have a black raspberry patch in your back yard, go pick some! 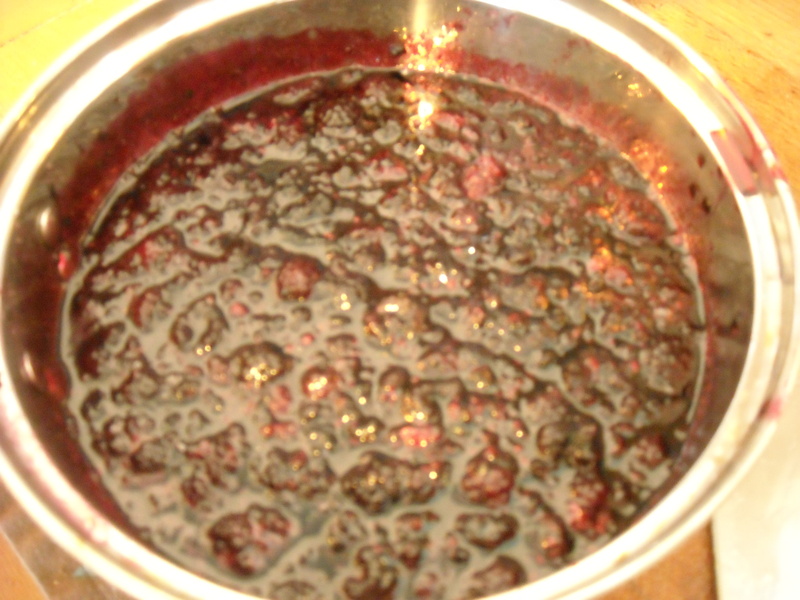 We’re going to make Black Raspberry Mojitos today! 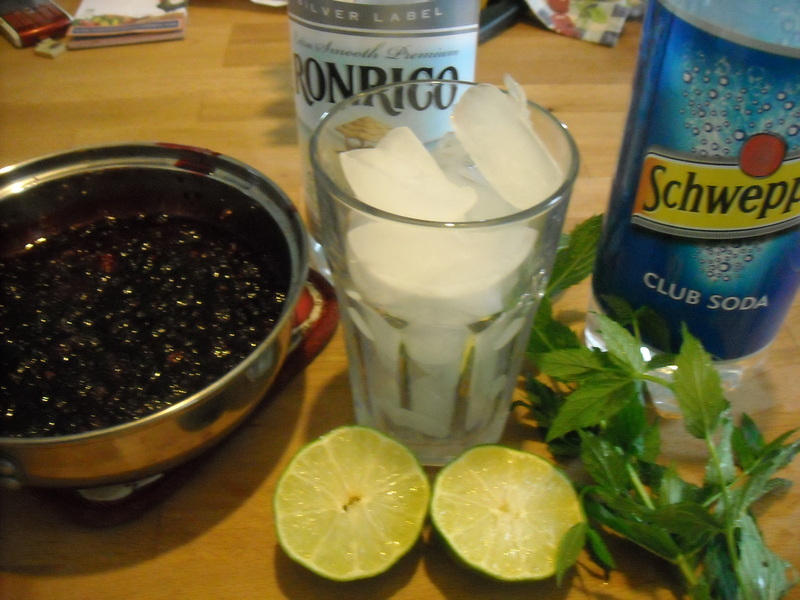 Now, when you get home from the market or grocery, you are going to make yourself the most awesome drink ever: a Black Raspberry Mojito. You’ll want to let it cool back down to room temperature before you use it, otherwise it will just melt all your ice. Once your syrup is cooled and ready, it’s time to start making your drink! First, juice half of a lime into your favorite mojito glass and add about 12-15 mint leaves. Don’t cut them with a knife at all, just tear them off the stem. You can also rip them in half once as you toss them in the glass on top of the lime juice. 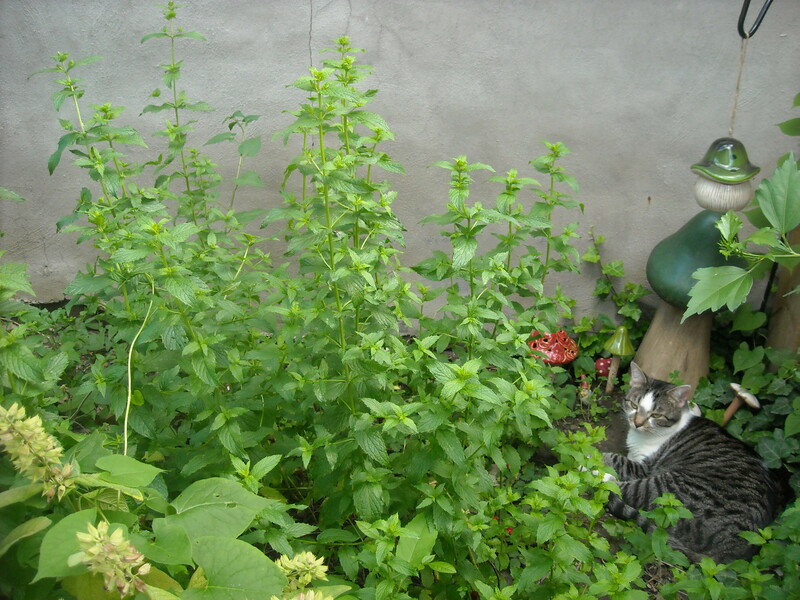 Now it is time to muddle your mint. 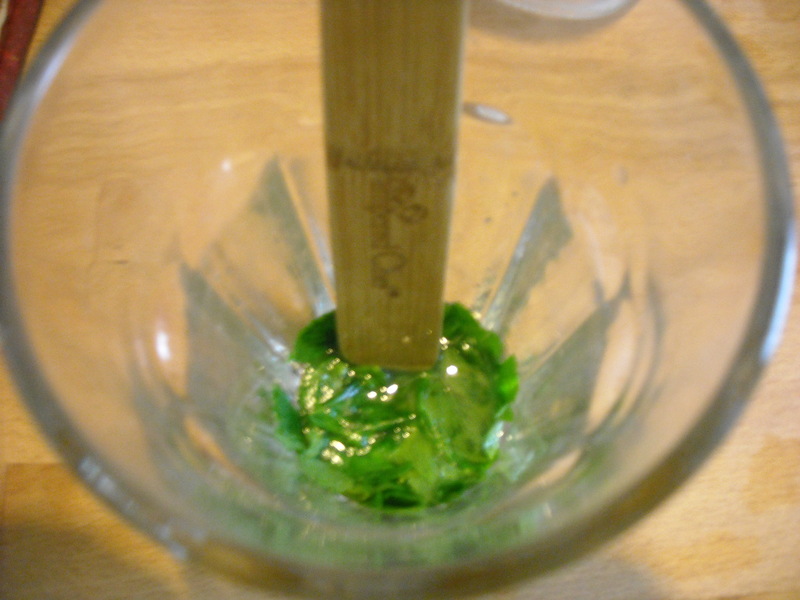 Basically you are just bruising it with some type of wooden implement to release its essentail oils into the lime juice. 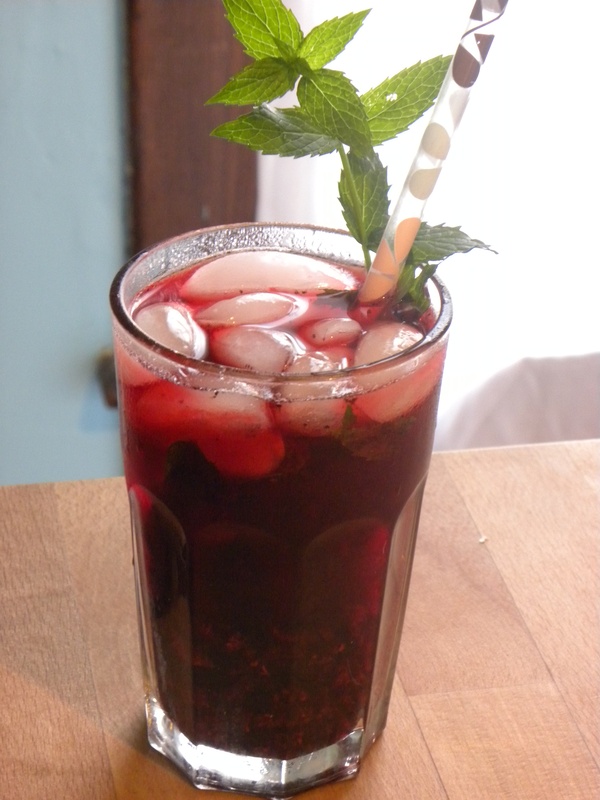 …there you have it: Black Raspberry Mojitos. Now, sit back, enjoy and forget what ever else you had to do for the day because once you start sipping on this, it’ll be the only thing you want to do! Too funny!!! The day before you wrote this, I woke up the first morning here and walked outside to discover a major black raspberry patch in our backyard here in Carmel! I need to see how many are left because these mojitos sound good!